The Los Angeles Times has taken a look at the October NPD numbers, which show that dancing games like Just Dance 3 and Dance Central 2 have grown in sales 326% over last year. That far outpaces the next nearest fastest-growing genre, fighting games, which grew just 33% over the same period of time. The dance genre is still young, but looking at these numbers, it's becoming increasingly clear that Kinect-, Wiimote-, and Move-powered dancing games aren't going anywhere anytime soon. Part of the reason for the genre's growth is that it's reaching new gamers—according to the NPD report, almost 8 out of 10 dancing game players are female, and many are younger than the average video game player. Doubtless, another contributing factor is that dancing games, particularly the super-slick Dance Central 2, are a whole hell of a lot of fun. 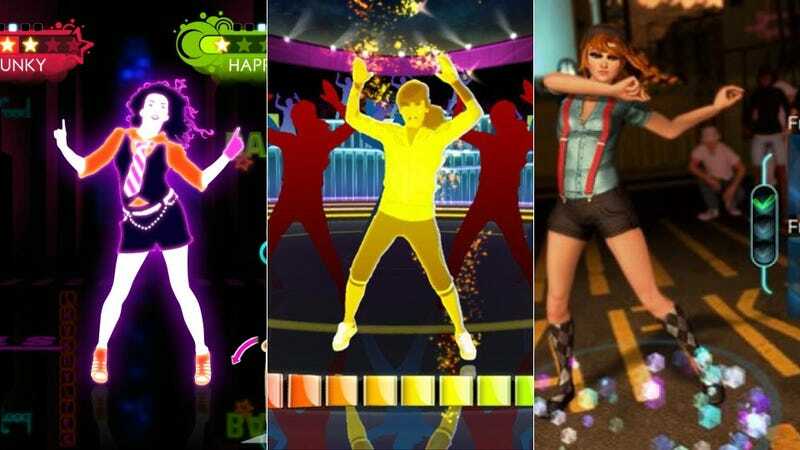 In addition to speaking with a few (lady) people who have come to love using Zumba Fitness 2 and Just Dance 3 as part of their fitness regimen, the Times speaks with well-known games industry analyst Michael Pachter, who admits that while he initially thought dancing games were a fad, he now acknowledges that they are going to stick around a bit. My favorite part is at the end, when Pachter "sheepishly" admits to playing dancing games at home. That means I can go ahead and sheepishly admit to doing the same thing! I feel like a total goof, but fun is fun, and Dance Central 2 is a great way to shake things up after long periods of Skyrim.